At Heap and Bunker Dental, we strive to provide you and yours high quality dental care, so that your smile can stay beautiful and strong throughout your lives. We are proud to be a family dentist, because it means we can help ensure that you and your loved ones–young and old–receive the best care possible. We strive to use the latest in modern dental technology so that the care you receive is both effective and comfortable. It is important to us that we not only work to resolve dental issues that you have now, but also prevent dental issues that could happen in the future. We value good communication with our patients, and always try to provide education on proper preventative treatment. We want every patient to make the most informed, healthiest decisions with their oral health. We provide a wide range of family and general dentistry services. 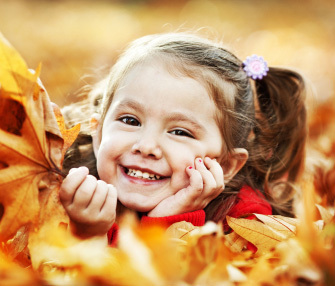 Tooth Colored Fillings | In the past, many dentists used metal-amalgam fillings for cavities. Unfortunately, in recent dental studies, metal-amalgam fillings have been linked to a number of health issues. At Heap and Bunker Dental, we offer tooth colored fillings made of special composites that are safe and metal-free. Our fillings blend in with your natural teeth, so you no longer have to worry about people noticing your cavities! Teeth Cleanings | One of the very best ways to prevent future dental problems is to receive a regular teeth cleaning (known as a prophylaxis). Teeth cleanings have a number of benefits, and they help remove built up plaque and tartar which leads to gum disease, tooth loss and more. Root Canals | If you have a deep tooth infection, a root canal can provide relief and help you preserve your natural tooth. Root canal therapy includes carefully removing the decay/infection in your tooth and permanently sealing it (often a dental crown will need to be used to protect the treated tooth) to prevent further damage. Dental Crowns | Dental crowns are a very versatile treatment that can be used in a number of different treatment. Dental crowns are especially effective in fixing teeth that are misshapen, broken, chipped, damaged, or otherwise need of extra protection. If you have any questions about these or any of the other services we offer, please contact us today!